Welcome to the Essendon Kia Blog. You will find a growing list of articles that ensure you get the most out of your automotive needs. Feel free to browse through our categories and articles! Women On Wheels is a national Australian community based business helping women get the most from their vehicles. 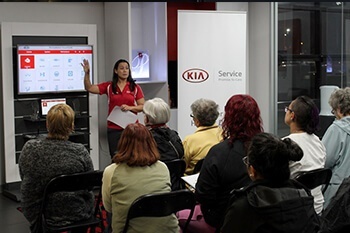 Kia Motors Australia has announced the winner of its national service adviser ‘skills cup’ competition. Soon our new building will be ready to show you a great range of new Kia vehicles and give you the best service.